Raspberries (scientific name Rubus), a member of the rose family, are a small fruit made up from a clump of juicy drupelets. Although usually red, raspberries can also be yellow, purple and black and grow on a cane-like plant in all temperate climates. Raspberries a delicious sweet/ tart taste that is used in anything from salads to fruit juices to cakes. Packed with anti-oxidants raspberries can be used to treat a range of symptoms as we shall find out below. Raspberries actually contain between 100 to 120 seeds and it may sound unusual but these powerful little berries do not continue to ripen after they have been picked. While raspberries are small in size, they are packed with antioxidants, rich phytonutrients and vitamins – all essential to keep our body healthy. They are an excellent source of folate, vitamin C, E and K, dietary fiber, manganese, copper, potassium and some omega-3 fatty acids. Raspberries have an anti-aging effect on the skin: Raspberries work wonders when it comes to keeping a healthy and young looking skin! Regular consumption of berries such as the raspberry can boost vitamin C — which is an effective antioxidant that fights free radicals and slows down the skin ageing process. You can also use it as a facial mask by mixing a cup of yogurt and 2 cups of raspberries until smooth. Apply it on your face and let it stay for 15 minutes, then rinse it off with water and see the difference! Raspberries as an anti-inflammatant: Raspberries are not only pleasing to the eye. The intense red color is caused by phytonutrient anthocyanin which has anti-inflammatory properties. So our tasty red friends can help fight inflammation of the body including arthritis and gout. Raspberries help fight cancer and skin cell mutation: Due to certain environment factors, our body is susceptible to harmful free radicals. These kill healthy cells in our body and cause cancer. Free radicals are also one of the reasons for damaged skin leaving it looking older than our age. Raspberries are crammed with antioxidants such as vitamin C, carotenoids, ellagic acid and quercetin — all substances that fight free radicals and help can protect our body against cancer cells mutation. Raspberries help regulate blood pressure: Fresh raspberries contain high levels of potassium which can help regulate blood pressure. Diabetes: Raspberries contain xylitol, a sugar alcohol that recommended for people who suffer from diabetes because it does not raise the blood sugar level. Xylitol is a low-calorie sugar substitute which has approximately 9.6 calories found in a teaspoon compared with the 15 calories found in sugar. Raspberries promote healthy eyesight: According to scientific studies, lutein and zeaxanthin are plant pigments that can help prevent macular degeneration which can eventually cause blindness. The good news is that raspberries are rich in these carotenoids that can help maintain healthy eyesight. Raspberries during pregnancy: Pregnant women can benefit from raspberries because of its high folate content that can help prevent neural tube defects in newborn, low infant birth weight and premature delivery. Folate deficiency can also cause blood loss and anemia. 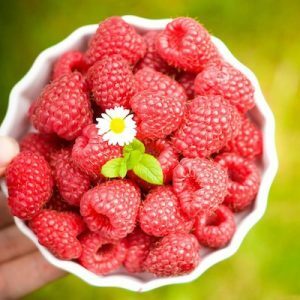 Raspberries help promote weight loss: Raspberries are high in ketone, which can increase enzyme activities and speed up the bodies metabolism, thus lowering the risk of obesity as well as fatty liver disease. So eating raspberries can help you to maintain a healthy weight. In temperate climate zones raspberries are in season from late Spring to early Summer. However, they can be found year-round in fresh fruit markets or commercially packed as frozen, juiced or dried. When buying fresh raspberries make sure that they are firm and plump. When packed in plastic transparent boxes, look underneath as one spoiled raspberry can cause many others to rapidly spoil and go moldy. Raspberries have a short shelf-life and should be consumed immediately on the day of purchase or harvesting (if you grow your own). Remove any spoiled or damaged raspberries before storing in the refrigerator to avoid contamination with the good ones. 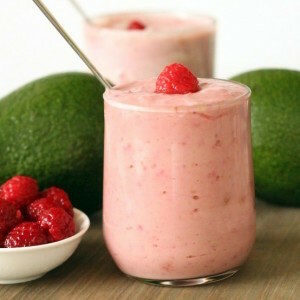 You can eat raspberries alone, or add them to your salads, smoothies or oatmeal. When are raspberries in season? In temperate climates, raspberry season runs from late Spring to Early summer. Like most fruit and vegetables provided by mother nature, the best time to consume is when they come in to season in your area. This is when your body is likely to crave and benefit the most from their nutrients and healing properties. What are the side effects of eating raspberries? Despite their great health benefits, some individuals may have adverse reaction to consumption of raspberries, particularly the red variety. Though rare, side effects of consuming raspberries include an itching sensation in the mouth, skin itch and slight swelling in some parts of the body. Raspberries can also act as a laxative in young children. Severe symptoms include difficulty in breathing, abdominal pain, vomiting and diarrhea. If any of these symptoms occur, seek professional medical help immediately. Which parts of the raspberry plant can be consumed? As well and the raspberry fruit which is commonly used in desserts, drinks and eaten raw, the raspberry leaf is commonly used in alternative medicine. Naturally high in magnesium, potassium, iron, b-vitamins and tannins raspberry leaf tea can be used to treat cramp and nausea. It is often used by women through pregnancy. Raspberry leaf also has has astringent properties, which make it good soother. Which type of berry is the healthiest? All berries are great source of vitamins, phytonutrients, minerals and trace elements including iron, magnesium and potassium. 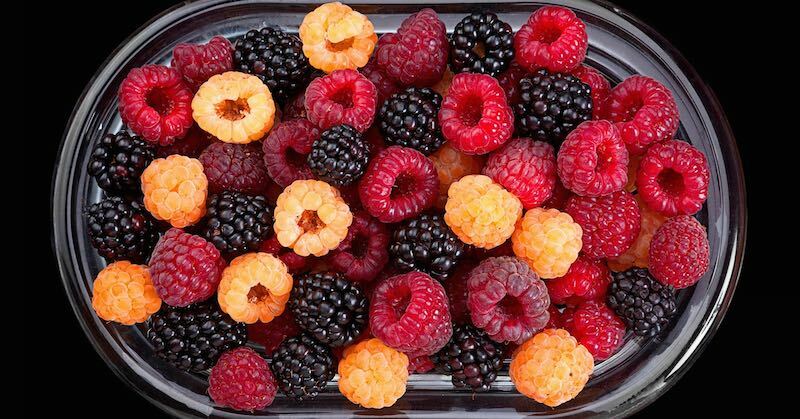 Compared with other berries, Raspberries are one of the more nutritious berries, rich in vitamin B9(folate), vitamin E, iron, potassium and magnesium.